The Netflix series, titled "Anne with an E," just began its second season. The episodes are charming—until you get to episode seven, in which Anne, her friend Diana Berry, and a boy named Cole attend a gathering at the home of Diana's great-Aunt Josephine. It turns out the party is a "queer soiree," featuring men dressed as women, and wearing heavy makeup, and women dressed as men. They are there to honor the memory of Josephine's departed "partner," Gertrude. Looking around her, Anne exclaims to Diana, "Isn't this the most amazing group of people!" Well, I can't help thinking that if a sheltered young girl like Anne actually encountered cross-dressing men and women in 1908, she would be shocked and probably frightened—not delighted. Diana—who is nonplussed by her discovery of her aunt's relationship with Gertrude, tells Anne their love affair was "unnatural." But the boy Cole—a character who is invented for the TV series—soon straightens her out. "If your aunt lived her life feeling ... that she was broken, defective, or unnatural, and one day she met someone that made her realize that wasn't true . . . shouldn't we be happy for her?" 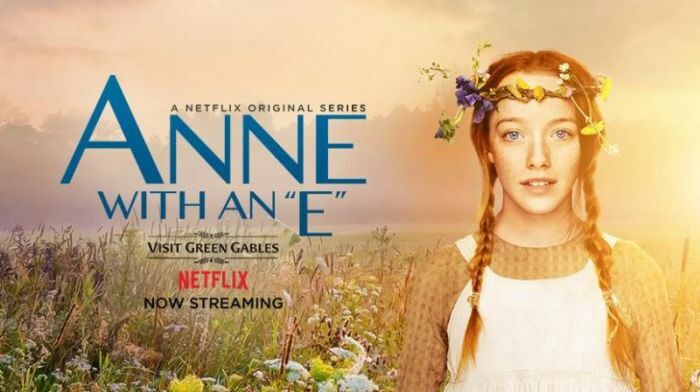 The gay-themed episode of "Anne with an E" has led many parents to turn the channel. As one of them wrote on the Facebook page of a Christian film review site, "The gay agenda completely ruined a perfectly heartwarming and uplifting story." Another wrote, "I just want wholesome–and no agenda."